In his first eight months in office, Prime Minister Narendra Modi impressed many with his foreign-policy skills. For example, he signalled that India’s response to Pakistan’s strategy to inflict death by a thousand cuts will no longer be survival by a thousand bandages; rather the response will be punitive so as to have a deterrent effect and help reform Pakistan’s conduct. Pakistan’s stepped-up ceasefire violations were met with a punishing mortar-for-bullet response. 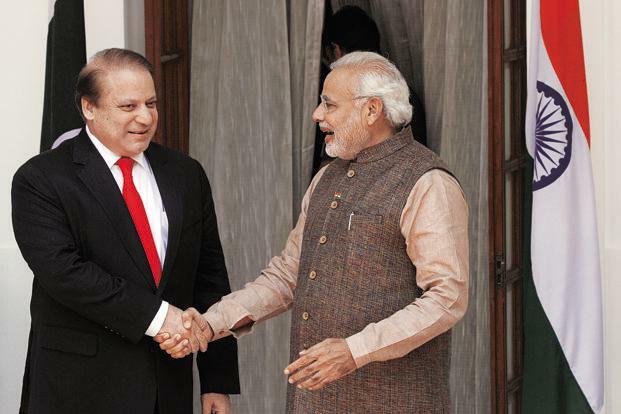 Yet today, Modi’s Pakistan policy looks barely different from his predecessor’s. Since U.S. President Barack Obama’s New Delhi visit, there has been a major transformation in India’s Pakistan policy. Obama pitched strongly for India’s re-engagement with Pakistan, dwelling on that theme at great length during his famous chai per charcha with Modi. His line of reasoning manifestly left a deep impression on Modi. This is apparent from India’s policy somersaults on two critical issues. The first U-turn — resumption of bilateral dialogue — raises troubling questions about the logic behind it. Such re-engagement even as Pakistan exports terror encourages it to persist with its roguish conduct. Few thus should be surprised by the return of terror attacks to Jammu and Kashmir. Since the Obama visit, Modi’s conciliatory gestures have included a telephone call to his Pakistani counterpart, Nawaz Sharif, and then a letter to him — hand-delivered by the Indian foreign secretary — in which the Indian leader said he looks forward to visiting Islamabad early next year for the SAARC summit. The second U-turn is no less puzzling: India conveyed to Pakistan last month that its high commissioner in New Delhi can meet Hurriyat separatists on any occasion other than when official talks are about to begin. In other words, Modi has yielded ground even on the issue that led him to cancel talks with Pakistan last August. The Pakistani high commissioner, in keeping with the Indian advisory, met first with Hurriyat’s Syed Ali Shah Geelani immediately after the foreign secretary-level talks in Islamabad and then this week with a seven-member Hurriyat delegation led by Mirwaiz Umer Farooq. Now consider another issue — the government’s dispatch of a reluctant minister, General V.K. Singh, to the Pakistan Day event. General Singh is not just any minister of state. As a former Army chief, he deserves due respect. In the Indian system, even civil servants at times try to ride roughshod over service chiefs. In this case, it was the government itself that did not accord due respect to a former Army chief by sending him as its representative to an event bristling with the presence of Pakistan’s Hurriyat surrogates. Look at the paradox: Just months after Modi broke off talks with Pakistan over its high commissioner’s meeting with Hurriyat leaders, he sends Gen. Singh to the Hurriyat-infested Pakistan Day event. Modi swept to power in India’s biggest election victory in a generation because voters expected him to usher in qualitative change. The hope was that he would be a transformative leader. Today, ironically, the lack of self-respect that permeated Manmohan Singh’s Pakistan policy risks seeping into the Modi government’s actions. With Modi’s policy adrift, Pakistan feels emboldened not just by his U-turns, but also by other political developments in India, including the Bharatiya Janata Party sacrificing principles at the altar of political expediency by entering into an alliance with the People’s Democratic Party in Jammu and Kashmir and the Modi government putting up with the J&K government’s release of the pro-Pakistan militant Masarat Alam. The opportunistic political alliance in J&K is between the architect of the cave-in in the December 1989 Rubiya Sayed kidnapping — a case in which the release of five jailed Kashmiri extremists triggered overt militancy, fuelling terrorism — and the party whose government at the centre hand-delivered top terrorists to hijackers in Kandahar in final hours of 1999, resulting in India entering the new century with ignominy. Other than the tool of dialogue, India has little direct leverage over Pakistan. The tool of dialogue thus must be employed judiciously to help change Pakistan’s conduct. If talks are held even when Pakistan’s belligerence remains intense, it will blunt the instrument of dialogue. Yet India has long had difficulty staying its course. For example, just months after the unparalleled Mumbai attacks by 10 Pakistani gunmen, Manmohan Singh not only reengaged Pakistan at the highest level but signed a joint statement at Sharm-el-Sheikh in which a reference to Baluchistan was included as if to implicate India in fomenting the insurrection there. Modi’s own suspension of talks lasted barely seven months. India’s unconditional resumption of dialogue each time only reinforces Pakistan’s conviction that its provocations carry no costs because even if the dialogue process were suspended again, India will reopen talks for two reasons — U.S. pressure, and Indian foreign policy’s blow-hot-blow-cold traditions. Today, Islamabad has reason to gloat over how its unbending intransigence has again brought India to the negotiating table and gained Pakistan a licence for interacting with Kashmiri separatists. Pakistan’s Hurriyat stooges are there to take diktats from their Pakistani handlers, not to ensure peace and stability in the Kashmir Valley. After 10 months in office, Modi needs to fix the broken Pakistan policy he inherited from Manmohan Singh, rather than concoct a mirror image of the same policy. It is high time for India to abandon the notion that it has no option but to stay stuck in the old failed policy of holding dialogue even as Pakistan remains intransigent. And it must stop facilitating Pakistan’s interactions with Hurriyat separatists. Will Pakistan allow any Indian official to meet Baloch secessionists or the protest leaders in Shia-majority Gilgit-Baltistan? If an Indian diplomat defiantly met any Pakistan-based separatist, that secessionist would either disappear for good or be quickly tried before a military court and executed. Brahma Chellaney is a professor of strategic studies at the Centre for Policy Research.